According to recent studies it has been found out that the sales of smartphones have passed the 1 billion mark in the year 2014 and there were lots of new models that were being displayed at Barcelona’s Mobile World Congress, majority of which are now available in Europe and all over the world. However, when it comes to Android, Samsung, the world leader is facing some tough competition from HTC, Lenovo and Huawei. 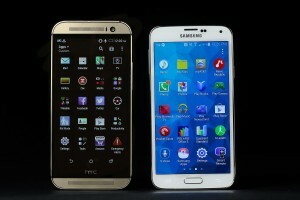 Both priced at 700 Euros, the brand new Galaxy S6 is facing rock-solid competition with HTC One M9. The editor of a tech-gadget magazine explained that the both aforementioned smartphones come out at the same time of the year and their previous phones have always been in competition with one another and this year this competition is going to get hotter as Samsung has conventionally been at the controlling position than an HTC cell phone. 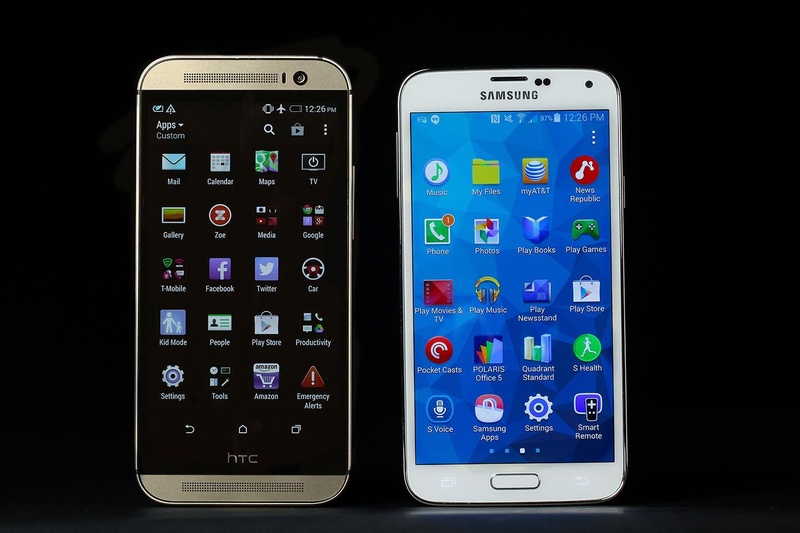 It was in 2014 that a large number of people acknowledged the HTC One M8, the predecessor of M9 as one of the most superior devices but Samsung came up with an even better answer to their competition; they soon launched their Galaxy S6. The S6 comes with 2 curved edges which offer you a whole new way to stay in touch with your contacts. These smartphones are set up with features that support wireless charging and brag a 16 mega-pixel rear-end camera and a 5 mega-pixel front camera. The main feature that is noteworthy is that Samsung has made this from glass and aluminium and not with plastic and this gives an entirely premium feel to the phone. On the other hand, the new HTC One M9 also has a dual finish and mirrored sides. When it comes to the mobile phones specification, it also boasts of a new Snapdragon 810 processor, 3GB RAM and 32 GB in-built storage. It also has 2 mega-pixel camera and a rather improved front camera for premium quality selfies. It is also equipped with Dolby Audio surround sound technology. Nevertheless, even though both these smartphones, the HTC cell phone and the Galaxy smartphone have enough features to win the competition, there might be someone else who can sneak in at any moment! The Motorola Nexus 6 could become the big winner as it is cheaper, and around 500 Euros is pretty much feasible for people with such tastes.